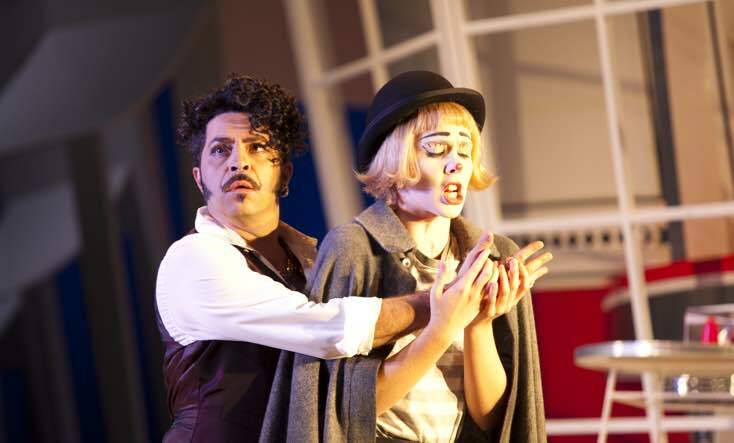 Everything you need to know about the Rossini opera you’ve never heard of. Rossini is a giant of the Italian opera world (both in terms of output and girth—he was a gourmand as well as a musical genius!). He was born into a family of musicians in 1792 and studied music in Bologna as a teenager. He wrote his first opera at 18 and had his first hit at 20 with The Italian Girl in Algiers. By 21, he was a famous opera composer. How do you know you’re listening to Rossini? Some of his music is dazzlingly difficult to perform—he wanted to show off the technical skills of his artists. He wrote forty operas before the age of 40 and promptly retired to enjoy his fortune. Rossini died in 1868 from pneumonia, aged 76. 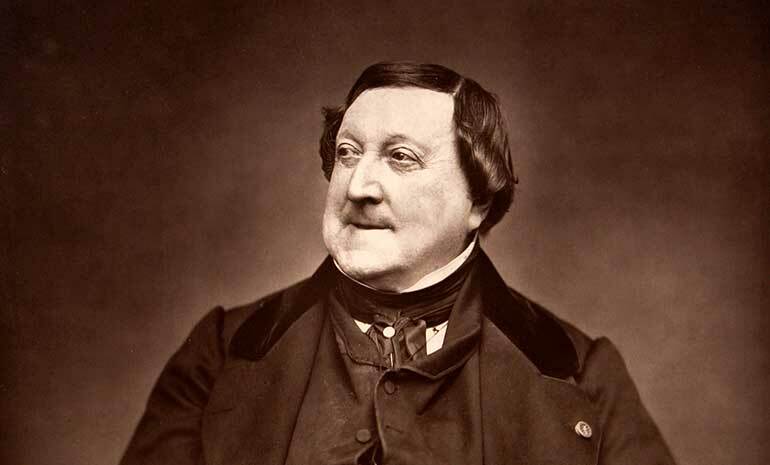 Photograph of Giaochino Rossini by Étienne Carjat. Source: Wikimedia Commons. Copyright: Public Domain. A poet with writer’s block is desperately searching for inspiration as he writes his story. The flirtations and furies of his little seaside Italian town are boring him, but things heat up when a handsome Turkish prince arrives in town. Suddenly, the flirtatious Fiorilla finds herself torn between her boring old husband Geronio, her jealous young lover Narciso and the mysterious, dashing young Turk. The Turkish Selim has problems of his own: how can he choose between the vivacious Fiorilla and the sad-eyed gypsy girl he once loved? Suddenly, the poet’s story is a romantic comedy with all the ingredients for success: love, jealousy and mistaken identities. There aren’t really any big hits — the opera isn’t performed very often. But Fiorilla’s final aria is a knock out, designed to show off the soprano’s coloratura (or ornamentation) skills. Rossini’s comedies often include “patter music” — where the comic character sings at a very, very fast tempo with just one syllable to each note. The rhythm patterns are difficult and the lyrics are often tongue-twisters. Listen out when Geronio sings, and you’ll hear some examples. A thoroughly frivolous take on a comedy rarely performed. Director Simon Phillips is renowned for his work on comedies, and this time he has set the action in a 1950s Italian seaside town, drawing on film culture for the period. 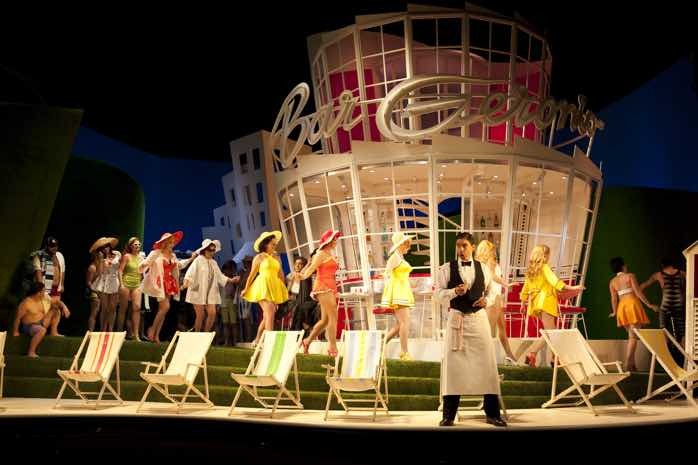 His oft-collaborator Gabriela Tylesova had great fun designing the sets and costume for the opera, exaggerating the clashing colours and bold silhouettes of the period. Rossini wrote this opera at just 21 years old. He’d been writing operas since he was 18, and was already a household name. But The Turk in Italy wasn’t an instant success. When it premiered in Milan in 1814, the opera-going public felt a little cheated — the plot was basically an inversion of his smash-hit from the year before, The Italian Girl in Algiers. Maria Callas revived it from obscurity in the 1950s, and while it is still not often performed, it’s full of stunning melodies and complex ensemble work. Born in a leap year, Rossini enjoyed the idea that he only had a birthday every four years. On his 76th birthday, he invited friends around to celebrate his 18th! Rossini plagiarised himself all the time, so if you’re wondering if you’ve heard that melody before, you probably have — in another Rossini opera. The composer: Rossini. A prolific 19th century Italian composer famous for his comedies, and one of the few to make a fortune from writing opera. The music: Rossini wrote beautiful and catchy melodies, often with fiendishly difficult embellishments for his singers to perform. The big hit: There aren’t really any big hits — the opera isn’t performed very often. But Fiorilla’s final aria is a knock out. The setting: Director Simon Phillips has set the action in a 1950s Italian seaside town. The history: The precocious Rossini wrote this opera at just 21 years old (and it wasn't his first)! A quirky fact to impress your date: The Turk in Italy was your classic attempt at a money-making sequel. Rossini was trying to capitalise on the success of his smash-hit The Italian Girl in Algiers.